First Hit: A very thoughtful film that deepens and, at times, darkens with feelings just as the Montana winter closes in. This film is, in essence, three separate yet interrelated stories of three women and their relationship with their inner self, work and the world about them. The film opens with Laura Wells (Laura Dern), as an attorney, having an affair with Ryan (James Le Gros) who happens to be Gina Lewis’s (Michelle Williams), husband. The strength and intelligence of this film is displayed in this opening scene. Long camera shots letting scenes play themselves out with words being a secondary communication device. The camera focuses on the faces letting the audience peer within the character. Of particular beauty was the stark motel room, only seeing Ryan, through the oval wall mirror, while Laura laid on the bed, contemplating the events, her life and her feelings about it. Laura finds herself enabling a client named Fuller (Jared Harris) who is lost after a work event that left him disabled and unable to continue working. He’s confused and refuses to believe that he gave away his rights for a tort suit against his former employer as explained by Laura. These scenes of enabling build up to where she finally changes the situation. Gina is introduced to the audience as she is warming down from a run, smoking a cigarette, and walking through a forested path. She’s serious and thoughtful in her look as she enters a campground. We soon learn she’s the powerful one in her family consisting of her husband Ryan and daughter Guthrie (Sara Roder). There is a moment when Gina indicates she dislikes being made the villain in the family. She feels undermined by Ryan which shows up as they discuss obtaining sandstone for the home they are building from Albert’s (Rene Auberjonois) yard. The long shots on her face left me feeling haunted by the weight she is bearing. We meet Jamie (Lily Gladstone) working on a horse ranch. She leads a quiet life tending horses, watching TV, and eating. The scenes of her existence were made more lively, and funny to the audience, by the Corgi that always chases her as she puts hay into the corrals for the horses. The darkness of where she lives and the barn mirrors the loneliness of her life. One evening she gets into her truck and ventures to a school where she quietly takes root in the back row of a class with four other adults. The others in the class know each other, she’s an outsider. Into the classroom walks a young lawyer named Beth (Kristen Stewart) and we learn she’s a newly minted lawyer and has driven 4 hours to teach a class on Student / Educational Law. She acknowledges she knows little about this but has been studying. All the students, except Jamie, ask questions that directly affect themselves and try Beth’s patience. By going to a diner after class Jamie and Beth learn more about each other. Again, the long camera shots on their faces was extraordinary in giving the audience a glimpse of what is going on within them. What is going on with Jamie is that she is falling in love with Beth. This is what made this film strong. 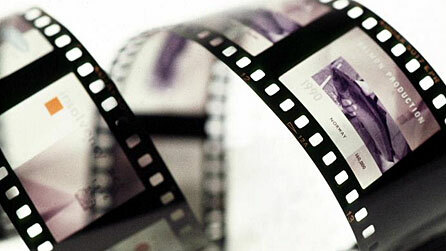 In male oriented films there are quicker camera movements and more cuts. There is more of an overt purpose in directing the story in a particular direction, here the audience finds their way into the story by studying these women through their faces and movements. Dern was amazing as someone who is alone, competent, caring and struggling to not be an enabler. Williams was sublime as a beautifully powerful strong woman that is finding her way through family life and what it is she wants her home to be. Harris is interesting as the man who is confused and dismayed at his current predicament. His reliance on Laura is interestingly dependent. Le Gros is good as the detached husband who is dependent on his strong wife. Gladstone was amazing. I loved her quiet depth, her aching heart, and pragmatic persistence. She was so powerful in this film by saying so very little. Stewart was wonderful as the object of Jamie’s affection. One of my favorite exchanges was when Beth said that in her family, the highest job they could attain was being a shoe salesperson. That she became a lawyer was something she held on to with tenuous hope and the audience feels this. Auberjonois was exceptionally sweet as a man slowly losing his memory. Kelly Reichardt wrote and directed this with an eye for letting the characters show what is going on with themselves by letting the camera see them. A job well done. Overall: This film is not for everyone, but if you want to gaze into the depth of certain women, see “Certain Women”.